Not be lost on the main card tonight (Sat., Sept. 24, 2016) at UFC Fight Night 95 live on FOX Sports 1 from Ginasio Nilson Nelson arena in Brasilia, Brazil, was an ultra-intriguing lightweight matchup between Karate practitioner Paul Felder and Brazilian powerhouse Francisco Trinaldo. Felder, 32, was competing for the first time outside of North America, while Trinaldo, 38, was looking to add to his six-fight UFC win streak. Well, the action certainly didn’t disappoint. Through two hard-fought rounds, both lightweights unloaded offense. Trinaldo’s boxing reigned supreme, but “The Irish Dragon” was able to land crippling knees and kicks to the body along the way. 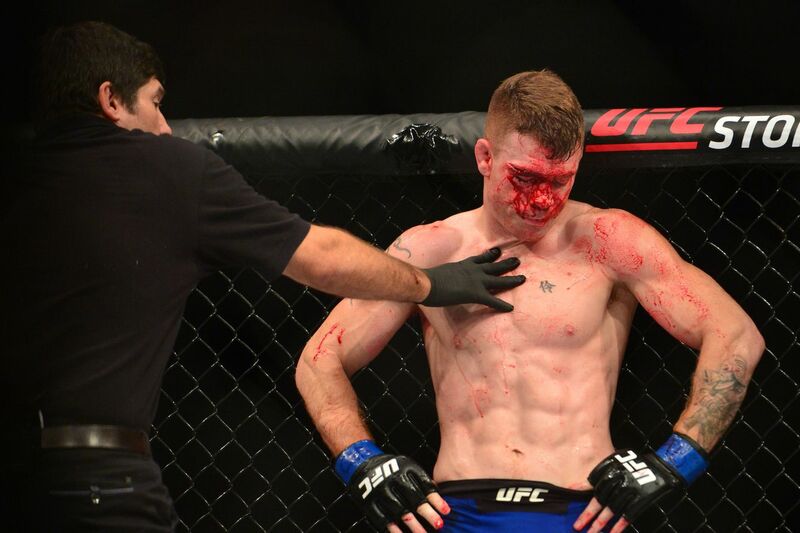 But in Round 3, after Trinaldo’s output caught up to Felder, a nasty cut opened up above Felder’s right eye (see here). The doctor stepped in, declared Felder unable to continue and awarded Trinaldo the third-round TKO finish. With this win, Trinaldo’s quietly improves his win lightweight sin streak to seven. While Felder isn’t ranked at the moment, he is worthy enough to be considered a divisional gatekeeper. That should leave the Brazilian on the cusp of the top 15 entering 2017.